There’s a saying that goes “a sound mind is in a sound body”. Yet, have we ever considered the power and importance of a sound heart in our lives? 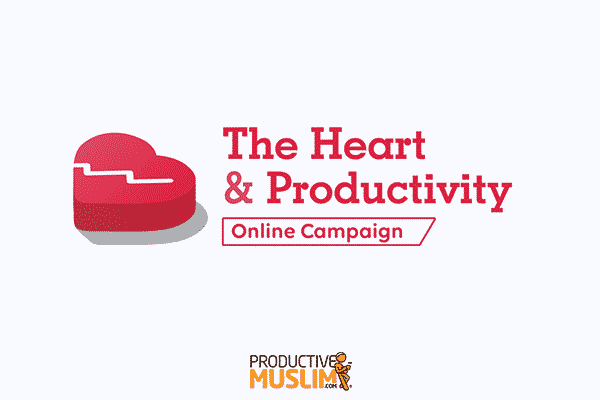 This month, the Productive Muslim team will be launching an online campaign called “The Heart and Productivity”. Our goal is to try and raise awareness about the neglected science of purifying our spiritual hearts and its impact on our productivity, focus, and well-being in this temporary life (dunya), and the next eternal life (akhira). In this article, I’ll introduce the basic concepts from this campaign. We will be focusing on: the three conditions of the heart, how a sound heart boosts productivity, and practicals ways to develop a sound heart. Before we discuss that, check out this short video and transcript by Raindrop.academy that summarizes Imam Al-Ghazali’s advice regarding the heart. The Dead Heart: This is the opposite of the sound heart. It has no life in it and does not know Allah . The dead heart loves and hates for the sake of its own desires, and does not respond to any call of faith or truth. The Sick Heart: This heart has life in it, but it is affected by disease (s). It loves God and sincerely wants to submit to Him, but at the same time, it loves to follow its own desires, ego, pride, fame, and other diseases of the heart. It’s constantly struggling, confused, and feels pulled in two different directions. Most of us recognize ourselves in the sick heart. We can feel our heart being pulled in two different directions; one that wants to know Allah and get closer to Him and one that is leaned towards our lower self and which brings forth the various diseases. 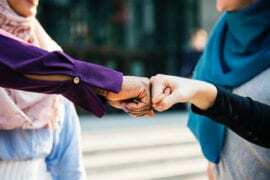 Before I share some practical ways to remedy the sick heart, let us understand the power and importance of a sound heart in terms of boosting our productivity. (Helpful tip: see the definition of Productivity and Spiritual Productivity in the ProductiveMuslim Book). 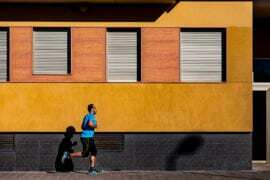 How Does A Sound Heart Boost Productivity? The spiritual heart has two abilities. The ability to acquire knowledge and the ability to will and take action. If the heart is sound, these two abilities will have one intention and that is to please Allah . This clarity of intention, leads to a clarity of action, which then leads to a boost in productivity. If, on the other hand, the heart is sick, you’ll see the person constantly confused and never satisfied, because the intention is not clear and keeps changing for him/her. When the heart is sound – it stays focused on Allah and is not distracted by the dazzles of this life. This enables the person to focus their energy and time on what matters most in life and not waste time on trivialities and hence leading to a boost in productivity. When someone has a sound heart – they’ll focus on making the right intentions and working hard and they’ll trust the outcome in Allah’s hands. They won’t live a life of worry, thinking of all the things that could go wrong – but they do their part of intention and then hard work, and that is the best formula for being productive. Many people with sick hearts will not even attempt to be productive and take action because they’ll always put themselves down by negative and useless self-talk. Finally, a sound heart is courageous and balanced, this is because it knows how to manage the two forces inside itself, which is appetite and anger. This is a huge boost to productivity – how many productive people have failed because their appetites and anger were not in control? Think of successful people who end up in scandals, or were caught in an outburst that ruined their careers. I hope the above analysis started to give you a glimpse of the importance of a sound heart in order to achieve meaningful productivity in life. The next question is: how can we actually develop a sound heart? Read on! Strengthen their immune system and body strength by taking medicine and eating well. Stay away from harmful elements such as bacteria and other sick people. Get rid of the root cause of the disease that’s lurking in the body whether it’s a virus or some kind of bacteria. So recite Qur’an constantly and aim to have a daily habit of reciting at least 1 Juz’ of Quran per day or at least 30 minutes of Qur’an per day. Sometimes the heart gets affected by external factors such as watching or gazing upon what is forbidden, or constantly being bombarded with 24-7 news cycle that depresses the heart. Stay away from these external factors that affect the heart and you’ll feel the soundness of the heart come back to you. Instead, spend more time with good companions who help improve the soundness of the heart by reminding you of Allah and His Messenger often. Sometimes in order for the heart to truly recover, you need to do an ‘operation’ whereby you sincerely repent from any sin/bad deed that’s holding you back, and seek sincere forgiveness from Allah to clean off that disease. Check out this video for more advice from Imam Al-Ghazali on how to improve the condition of the heart. So be conscious about the state of your heart. Ask Allah to grant you a sound heart. Work on improving the condition of your heart by increasing faith in Him , performing acts of worship, avoiding sins and repenting regularly; not only will you feel spiritually uplifted, but you’ll notice an incredible drive within you to push for productive pursuits that are beneficial for your life and the next, in sha’ Allah. What do you do to strive for a sound heart? Share your tips in the comments section below!